Comic books are all about world building. In this fictional space where superheroes and mutants exist, a creative team has to be capable of building a believable, well-thought-out world that readers can delve into. 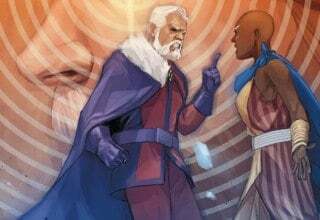 In X-MEN BLUE #33, writer Cullen Bunn and artists Marcus To and Matt Milla do just that. The only problem is, they don’t do a whole lot beyond that. The futuristic, apocalyptic nightmare that Magneto finds himself in gets the proper amount of explanation, which is great. Though they should, comics don’t always put enough emphasis on world building. However, Bunn doesn’t include a diverse range of characters or a suitable amount of action. This makes for a creative, but bland, issue in the soon-to-be-concluded X-MEN BLUE series. In order to outrun his opponents (a.k.a. the X-Men Blue team), Magneto used the time platform to send himself into the future. The future he arrives in is one his future self personally carved. Nineteen years after the events in X-MEN BLUE #32, the United States is practically unrecognizable. Although the specifics are ambiguous, Bunn does give readers a slight glimpse into what caused some of the destruction: the Reaper virus. While Magneto saved many mutants, he also made some enemies along the way, including the Blue team. At the end of the issue, we see the time-displaced X-Men all-grown-up. 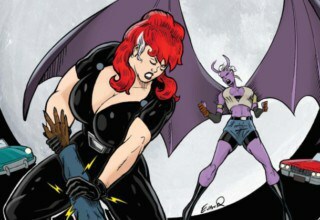 Bunn gives us one panel with the Blue team, and then the issue ends on a cliffhanger. I love dramatic endings as much as the next person, but I honestly really didn’t like this decision. 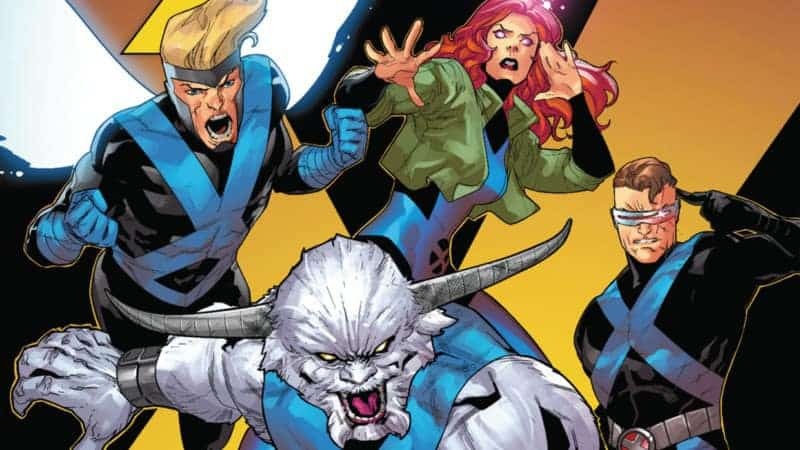 X-MEN BLUE is about the Blue team — a fact that this series has struggled to stick to. X-MEN BLUE #33 is about Magneto and only Magneto. While Jean and her team are in it, Bunn gives the undivided spotlight to the Master of Magnetism. I understand that with the series ending, Bunn wants to give Magneto a jumping off point for future series. That makes sense. Still, I think he might have taken that concept a little too far in this issue. Every panel shouldn’t be Magneto narrating his emotional journey while walking around an abandoned city. That’s way too close to a bad sci-fi novel. 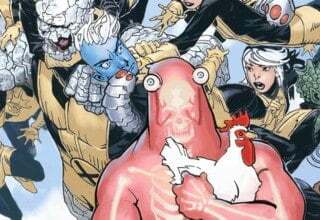 In order to be a well-rounded issue, Bunn needed to include more of the Blue team and less of Magneto. Magneto is an interesting character, with a lot of room for development. But this isn’t X-MEN MAGNETO — it’s X-MEN BLUE. 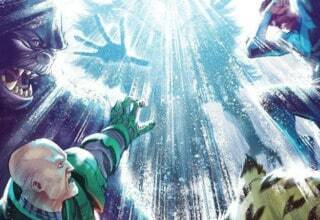 In ALL-NEW X-MEN, the Beast brings back the original X-Men using the same time platform Magneto uses in X-MEN BLUE #33. It could be a coincidence, but I see it as foreshadowing. EXTERMINATION is going to be a huge comic event, and Bunn is getting us ready for it. As is so often the case, the best part of this issue is its art. Marcus To, who worked on X-MEN BLUE’s “Cry Havok” arc, returns in X-MEN BLUE #33 and, once again, delivers some mindblowing work. 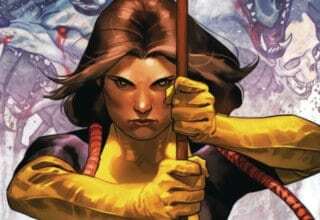 X-MEN BLUE has had a strange array of creative teams thanks to constant changes in pencillers. One of the few positive aspects of having so many different artists is that, occasionally, a really, really talented person will come through and give the series a complete makeover. In X-MEN BLUE #33, To does just that. To’s style is not overly detailed, but it doesn’t need to be. All of his anatomical proportions and uses of perspective are spot-on, which isn’t something most comic book artists can say. His work is clean, well-rendered, and makes for a very enjoyable issue. Longtime X-MEN BLUE colorist Matt Milla also brings his A-game in this issue. He paints the futuristic world in dull blues and greys in order to highlight the intense reds and oranges seen in the flashback scenes. That contrast assures readers that the apocalyptic future is considerably worse than anything that’s happened in the present or the past. If Magneto is your all-time favorite character in Marvel comics, then you need X-MEN BLUE #33 in your collection. Bunn really digs into Magneto’s character and gives readers a front row seat on his emotional journey. However, if Magneto is just another villain to you, I wouldn’t recommend this issue. Jean and her team are barely even in X-MEN BLUE #33, even though it’s technically their series. This issue succeeds only because of the art and its connection to next week’s EXTERMINATION #1. Bunn’s strong emphasis on Magneto hurts X-MEN BLUE #33 instead of helping it. X-MEN BLUE #33 feels like half of an issue. Whereas ordinarily, a writer might use half an issue to introduce a new plot, Bunn uses the entire issue. He neglects everyone but Magneto and gives the reader hardly any action. With the series ending soon, I'm a little unsure why Bunn chose to give readers an issue where pretty much nothing happens.